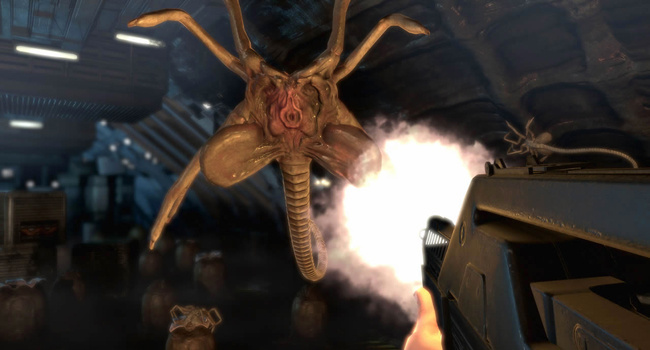 One of the many third-party Wii U games shown off at E3 was SEGA's Aliens: Colonial Marines, with the company announcing the game is being 'considered' for the next Nintendo console. The footage shown during the E3 conference looked pretty good to us, and the possibilities for the Wii controller with the Aliens franchise are immense, so let's hope Gearbox gets past the prototyping stage and makes this game a reality. LOS ANGELES (June 7, 2011) – SEGA® of America, Inc., SEGA® Europe Ltd. and Gearbox Software today revealed that Aliens: Colonial Marines™, is being prototyped and considered for the Nintendo Wii U™. In partnership with Twentieth Century Fox Consumer Products and developed by critically acclaimed studio Gearbox Software, Aliens: Colonial Marines for this new gaming console is currently under construction by a dedicated research and development branch within the studio. 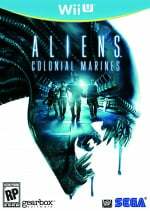 Aliens: Colonial Marines is the highly anticipated first person shooter set after the events of ALIENS and is designed to provide an exhilarating and engaging new chapter in the Aliens universe. Players will blast their way through hordes of Xenomorphs on the USS Sulaco, the surface of LV-426 and Hadley’s Hope, using weapons inspired by the film series. Aliens in HD. What more can be said? I heard that there might be chance that this game will not arrive on Wii U. That would both be awesome and scare the crap out of me. @3.. motion sensor on the controller screen. TOO COOL! So we're playing as the Colonial marines that all died except for that girl by the time Ripley and co. get there? Oooooh, it's considered! How many of these third-party games are actually confirmed for the wii u? Are we in for another big dissapointment?! Actually, this is the only game of all the Nintendo E3 presentation that really matters to me. WiiU-Zapper with Motion Tracker running on it is just too awesome - fangasm.